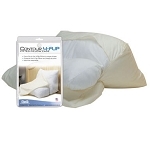 Unique pillows to help increase user comfort. Unique pillows that help increase comfort for people with special needs. Many people suffer from ailments such as sleep apnea, snoring, insomnia, breathing difficulty, neck pain, whiplash, rotator cuff injury, and other issues that can affect the quality of their sleep. 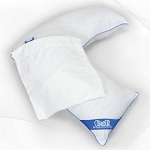 These unique pillows are designed to help relieve discomfort associated with a vast array of uncomfortable sleeping conditions.